Massey University product development laboratory manager Warwick Johnson, Nestlé Product Technology Centre head Dr Swen Rabe, Riddet Institute research officer Dr Pranav Singh, Nestle innovation manager Birgit Holst, Nestlé research scientist Dr Joeska Husny, Nestlé assistant vice president, head of licensing and research and development alliances Deborah McRonald, and Riddet Institute Postdoctoral Fellow Dr Anant Dave. The unique technology, FERRI PRO was developed to address iron deficiency, without adversely affecting the taste of food and beverages. It was developed by Massey University researchers at the Riddet Institute Centre of Research Excellence hosted by Massey in the Manawatū. 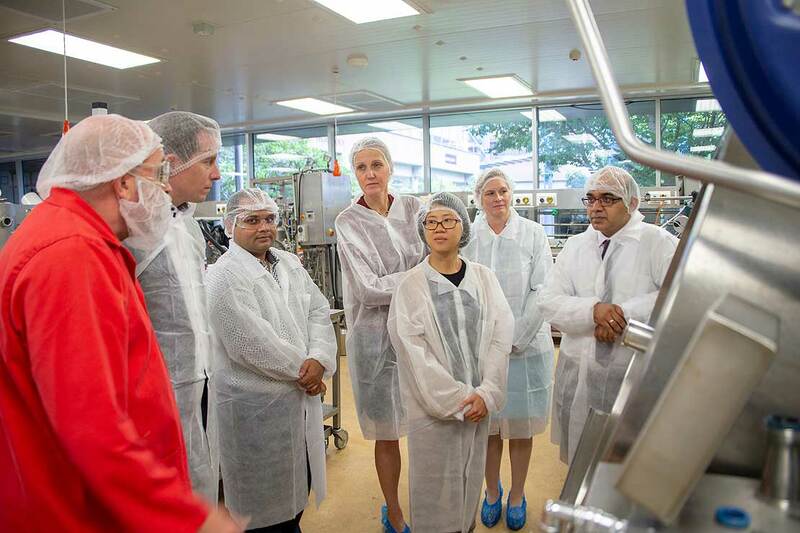 “The technology was developed to help to address the world’s most important nutritional deficiency, with over 1.6 billion people suffering from iron deficiency anaemia,” Riddet Institute director and research team leader Distinguished Professor Harjinder Singh says. 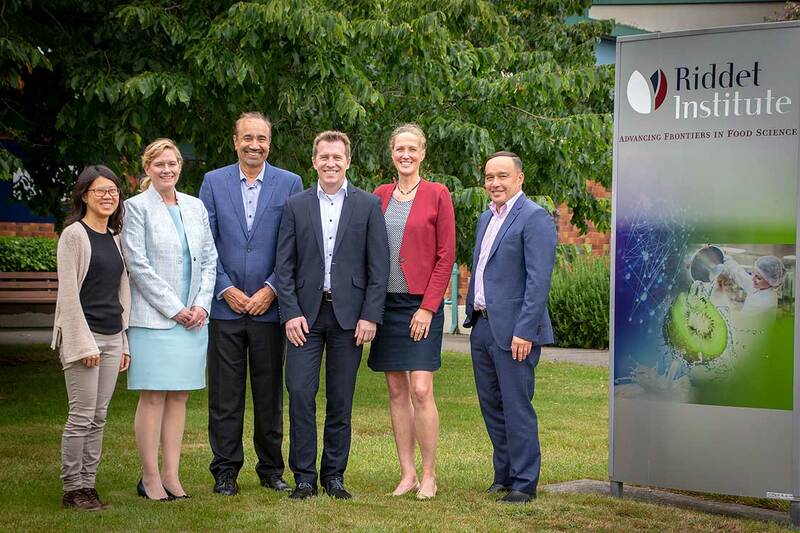 Dr Joeska Husny, Mrs Deborah McRonald, Distinguished Professor Harjinder Singh, Dr Swen Rabe, Birgit Holst, Massey University business development and commercialisation Rick Gain. Massey Vice-Chancellor Professor Jan Thomas says, “the deal builds upon Massey’s reputation for world-class research by attracting the attention of the largest food company to solve a major global health problem. The commercialisation and technology transfer takes place via Massey Ventures, a fully-owned subsidiary of Massey University, which manages the University’s commercial investments.